20 line Speed Encoder, more accurate than 6 or 10 one. The mechanical structure is simple, convenient installation. The height between two chassis can be change by different copper pillar. The four turn speed dc motor flexible, directional well. Quad, chronological horsepower. 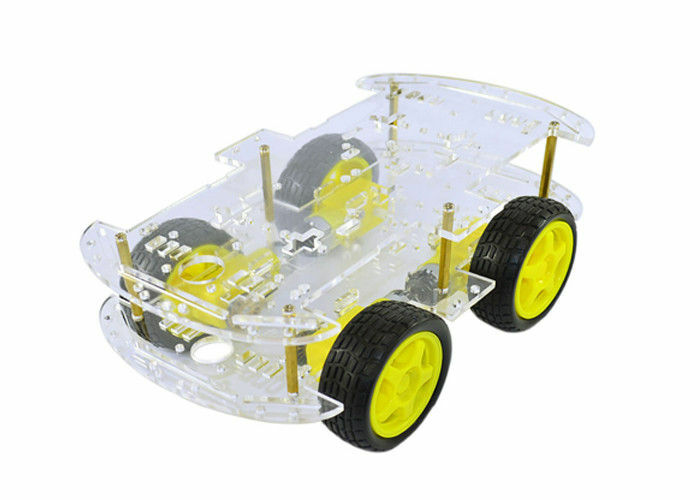 Chassis and stability is very easy to extend. The car comes with speed encoder, cooperate with our speed of photoelectric, can rapidly form a speed measuring system. Can speed, range, form a closed loop system. The car can be added four L293D motor driver module, four-way tracing module, and 51 control unit seamless docking, with red light expanded hole of obstacle avoidance so that making this composition system concise and good-looking.